*** 50% OFF FOR A LIMITED TIME *** THIS IS THE PRO VERSION WITH 20+ PRERECORDED VIDEOS! 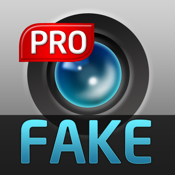 GET THIS APP NOW TO FAKE OUT YOUR FRIENDS AND FAMILY!! Make Fake Video Calls in front of your CLUELESS friends! Act like you have an important situation that needs to be handled right away and get out of your current meeting or engagement! Click "More" to see why you should download now! This version currently contains 21 videos, with more videos added in the future FOR FREE! Users have been requesting female videos - and we answered! Videos with #4 contains are all female videos - enjoy! So you really don't want to eat dinner with your former coworker, but you are trying to stay on good terms for a business deal. Before you go to dinner you have your girlfriend use "Fake Video Call" to record a video making up an excuse for you to leave dinner instantly. When you get to dinner, you order a drink and open your "Fake Video Call" app. You already have your girlfriend's name set as the caller and have the video she recorded earlier set to play. You select the time you want the fake video call to come through, let's say 2 minutes. Then you put your iPhone in your pocket and sip on the drink that just arrived awaiting your chance to leave. You exchange a few words about business and how you are excited you finally had a chance to catch up. Before you know it, your iPhone rings and it is a Fake Video call from your girlfriend saying the basement is flooding at that you have to come home immediately! Have fun using our prerecorded videos to get you out of lots of situations. And your can make up and record your own fake stories to get your friends and family out of sticky situations!